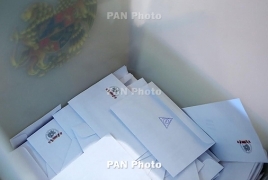 On the threshold of the parliamentary elections, PanARMENIAN.Net presents the most attractive and specific pledges made by the rival political forces during their campaigns. PanARMENIAN.Net - Tsarukyan bloc pledges to include restoration and preservation of the historical and cultural monuments located in Western Armenia in the list of exclusive projects to be implemented. YELK (Way Out) bloc promises to form a second house of the Armenian parliament that will consist of Diaspora representatives to be elected by the Armenian communities abroad. The second house will hold the exclusive right to appoint the director of Hayastan All-Armenian Fund, as well as have a word in the appointment of the Ministers for Repatriation and Diaspora Investments designated by the Prime Minister. Armenian Renaissance party promises to pay AMD 500,000 to each newlywed couple. ARF Dashnaktsutyun is the only political force that mentioned Javakhk Armenian in their election program. According to it, good neighbor relations with Georgia will have a positive impact on the life of Armenians in the country and implementation of their rights. Free Democrats suggest ruling out any tax exemptions for religious organizations. “Entities (be it foundations, religious organizations or charities) should not have any tax advantage. The government and Central Bank should be stripped of the right to grant tax advantages,” their program says. According to party candidate Styopa Safaryan, the Armenian Apostolic Church must not be an exception. Armenian National Congress-People's Party of Armenia bloc pledges to investigate the authenticity of the sale of Nairit plant shares in 2006-2012, call the embezzlers to account and then work out a new program to re-launch the plant.